Superstar Rajinikanth’s Kaala has finally released and this is Rajini’s second movie with Pa. Ranjith. After Kabali, it took nearly 2 years for a Rajini film and Kaala had a very less hype surrounding it. 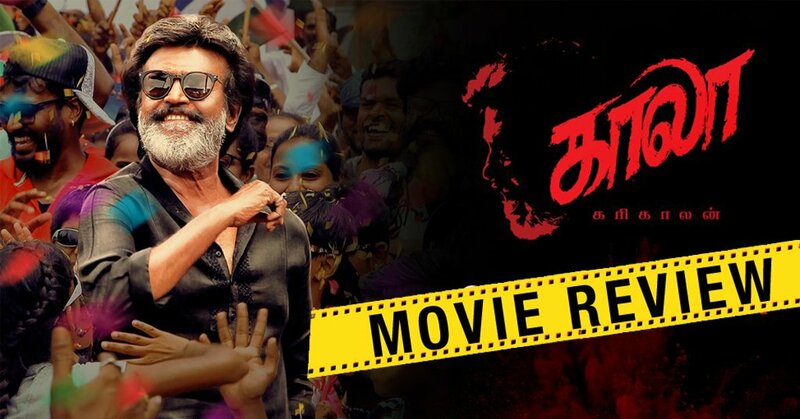 The review of kaala from overseas was positive and now let us see the detailed movie review of Kaala. The movie revolves around how a Gangster basically the King of Dharavi fights against the Politicians and land mafia to safeguard their land and rights. Ranjith has worked on what was criticized during Kabali release.. there are many mass moments for Rajini fans to enjoy. Meanwhile, Ranjith stays firm in his way of storytelling and as usual, he speaks about the oppressed. The first half had some mass moments but the second half had major dialogue portions. The second half may feel little draggy. The performance of all actors was too good. Nana Patekar proves to be one of the greatest villains for Rajini all time. Santhosh Narayan’s BGM is the biggest plus for the movie and elevates many scenes. Overall its a Commercial Rajini film with a Ranjith’s view. Ranjith strikes this time !